To really wrap your mind around the work of Generation Spark, you first need to get a handle on the nones and the dones. Let’s start with the “nones,” a term used in the media as a shorthand way to talk about those who identify themselves on surveys and polls as having no religious affiliation. In other words, they check the box that says “none.” Many of these nones are young people (age 16–24) who grew up in the church but didn’t stick around. The “dones” is a term that’s far less common. Dones are people age 45 and older who, in the words of Virgil Gulker, director of Generation Spark and a lecturer for Hope College’s Center for Leadership, “have been in most cases pillars of the church, but they’ve grown weary of the institution.” They’re done. The nones and the dones. Two vastly different age groups that present the same problem: After spending years in the church, people are leaving. Generation Spark aims to do something about it. One year into the grant period and several months into the pilot program, five participating churches have brought church members from the nones generation and the dones generation into formal mentoring relationships, with each pair supported by a prayer partner. The research-based idea behind this mentoring model is that by giving young people meaningful relationships with older adults — and giving older adults an opportunity to share their life experiences and influence the younger generation — each group could be an antidote to the other’s declining participation in church life. That’s one of the reasons VictoryPoint Ministries in Holland, Michigan, got involved. “We were intrigued by the idea of the cross-generation relationship and how much these pairs could speak into each other’s lives for personal growth and for bridging gaps within our church community, leaving both feeling valued and cared for,” said Wendi Kapenga, director of the church’s Generation Spark program. The primary purpose is to create relationships where youth and older members come together and begin to explore life issues. To help ease the potential awkwardness that comes with intergenerational relationships, the Generation Spark team took inspiration from a consultation model that the Center for Leadership has been successfully practicing for years, in which students are paired with an adult mentor to solve a problem in a local organization. It’s here, in the combination of a mentoring relationship with a problem-solving purpose, that Generation Spark really shines. The youth-and-mentor pairs in the pilot group have spent 12 weeks addressing practical issues in their own churches. Generation Spark has provided a list of project ideas, but each group instead developed its own ideas to pursue. At VictoryPoint Ministries, 18-year-old Drew Deur was previously involved in weekly worship at Benjamin’s Hope, an intentional community in Holland, Michigan, that serves adults with autism and other developmental and intellectual differences. Together with his mentor, Tom Buursma, he worked to bring awareness about autism to VictoryPoint. “Most of the church has a general understanding of what autism is, but they don’t know everything about the condition and the programs that exist to help the people it affects,” Deur explained. Together, Deur and Buursma researched and presented ways to connect their church with the ministry of Benjamin’s Hope, with the long-term aim of establishing a missional community to serve those with autism. Casey Shannon is a 23-year-old at VictoryPoint who works full time as a machine operator and attends school part time. 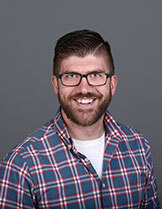 He and his mentor worked to create an online tool to build relationships among church members who, like Shannon, have schedules that don’t allow them to connect with the church’s regular Bible study sessions. 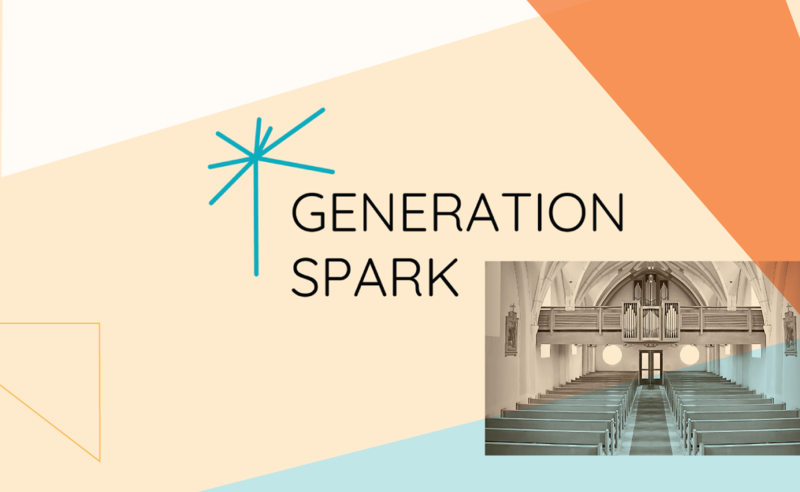 Faith Church in Zeeland, Michigan, became involved with Generation Spark when church leaders were approached by Matt VanDyken, a Hope College junior and member at Faith who was involved in launching the Generation Spark pilot program. “It just fits with who we are as a congregation and with what we believe is absolutely necessary,” said Pastor Jonathan Elgersma. each group could be an antidote to the other’s declining participation in church life. One project at Faith Church has taken the youth leadership question head-on. With help and encouragement from his mentor, a student attended a recent consistory meeting to present an idea about forming a youth leadership team that has a crossover conversation with the church’s governance. Other projects from the pilot group include exploring the feasibility of a church-based food bank and a community-based garden, promoting random acts of kindness within the church body, addressing the issues of suicide and self-harm among high school students in the community, and developing a structure for small groups based on special interests. The measure of success, then, is not whether a team or a church implements a lasting solution for, say, housing pregnant teens (although that would be great). Rather, the measure of success is whether a church has developed thriving intergenerational relationships. In a focus group, Gulker and his students asked young participants why they were part of Generation Spark. None of them said they were involved to solve the problem; instead, they showed up for the relationship. “When we start thinking intentionally about the next generation, we’re thinking about ministry the way God thinks about ministry,” Elgersma noted, pointing to several biblical examples: Moses and Joshua, David and Solomon, Elijah and Elisha, Paul and Timothy, Jesus and the disciples, Elizabeth and Mary. That’s about as perfect an outcome as Gulker could imagine. “I just hope God uses us to be one small step in that direction,” he said.